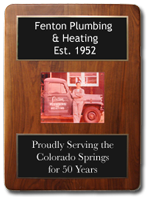 Since 1952 Fenton Plumbing & Heating has been serving Colorado Springs with superior plumbing service. 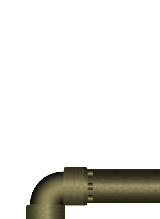 We are a full service plumbing contractor, providing residential and commercial services. Our experienced and reliable technicians provide expert water heater replacement. Ask about the Bradfordwhite Icon System. 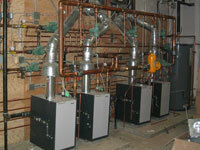 We specialize in efficient radiant heat systems that provide cozy living environments. Nothing feels better than stepping out of bed onto a warm floor, knowing that the heat has been supplied as efficiently as possible. On-call emergency plumbing repairs including frozen pipe thawing, repairing pipe bursts, and unblocking clogged lines. 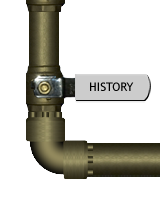 Adding to your existing plumbing system? We specialize in remodel service including fixture selection and recommendations, efficient plumbing design, and professional installation. Come in and view fixture options in our extensive showroom. Sewer, water, gas utilities excavation. Water treatment and filtration system sales, service, and installation.